Economist and Nasa coalition strategist David Ndii was last night arrested in unclear circumstances at a hotel in Diani. 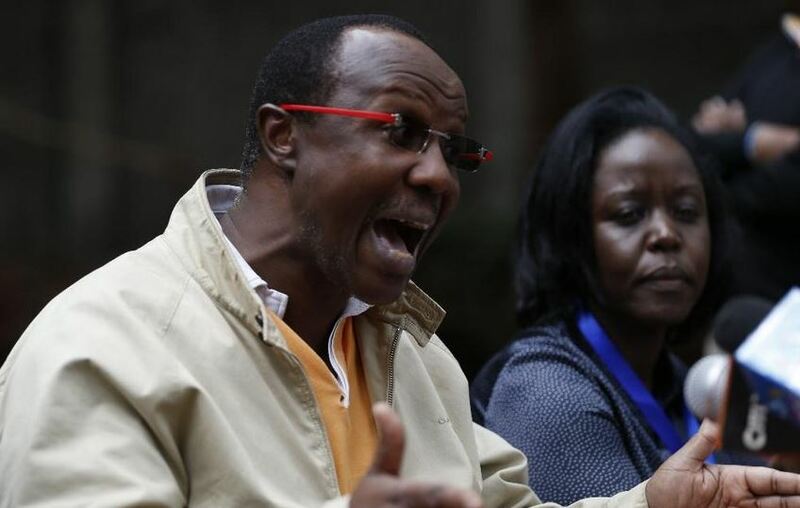 According to early reports, Ndii was arrested for his role in the formation of the People’s Assembly and possibly his part organizing the expected swearing in of Raila Odinga on December 12. According to a short statement released by Nasa, police picked up Ndii at Leopard beach in Diani at around 9pm. His family was informed that Ndii was taken to Diani Beach Police Station, but when they went there, he was not present. Here’s the statement by Nasa. David’s family members have reported that police picked up Prof. Ndii an hour ago in the Leopard beach area of Diani on the south coast. The family was told that he had been taken to the Diani Beach Police Station but when they went there they were told he was not there nor did they know where he was. No reason was given for his arrest. Prof. Ndii was three days ago appointed the chairman of the steering committee for the People’s Assembly organizing the 12th December inaugural events. NASA lawyers from Nairobi and the coast are trying to locate where he is being held. Apart from playing a big role in the workings of Nasa, David Ndii has been Kenya’s biggest voice on matters secession. He has openly advocated for splitting up the country, something that has gained prominence in the just concluded election season. Governments are not usually very fond of people advocating for secession, and this happens even in advanced democracies. There is currently a secession crisis in Spain, where the country has refused to accept Catalonia’s move to create their own country. Madrid dealt ruthlessly with demonstrators, with Catalonia president eventually going to exile. There is an arrest warrant for him. Here in Kenya, it will be interesting to see how the government deals with David Ndii and others keen to break up the country into small pieces.